As a responsible homeowner, you need to be prepared for just about all eventualities that could occur inside your home, and that includes having the name of a Bellefonte HVAC company you can call in the event that something happens to your home's air conditioning system in the middle of the night or outside of normal business hours. Here at The Best HVAC, we are a State College air conditioning company that understands AC troubles don't always happen at the most convenient times, and we are prepared to provide you with the emergency air conditioning services you need to get your system back up and running and restore comfort to your home. Are you looking for an emergency air conditioning service you can trust to come out and take care of your broken down system, no matter what time of the day or night? If so, you have come to the right place. For all of your emergency air conditioning service needs, you can always count on our team of prompt and professional technicians to deliver the quality service and results you need. Here at The Best HVAC, our team of emergency air conditioning service professionals understand just how miserable it can be to have your AC go out on a Friday night, and face the prospect that you might have to go without until Monday morning at the earliest. 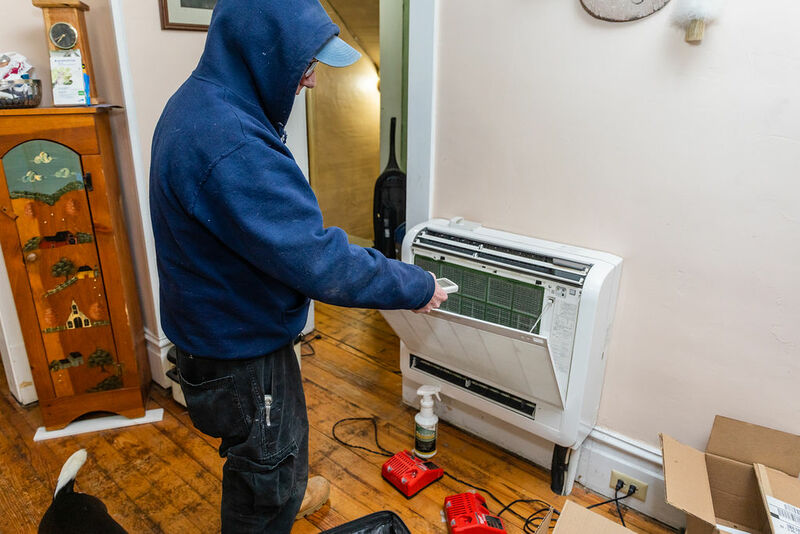 We believe that no homeowner should have to suffer through that kind of discomfort, which is why our emergency air conditioning repair specialists are available 24/7, 365 days a year to respond to your service requests when you need them most. If you have any questions about our full line of high quality emergency air conditioning services, or if you are in need of service yourself, give us a call today. Our team of experts are always standing by and ready to help. Here at The Best HVAC, you can count on our team of experienced professionals to be there when you really need us. Once arriving on the scene, our team of skilled technicians will get right to work in diagnosing the issue, and provide you with the fast and accurate repairs you need to resolve it, restoring your home to comfort. With out help, you can have your system back up and working before you know it.